Want to win copies of Kathie Lee and Hoda's books? Here's how you can! Kathie Lee Gifford and Hoda Kotb are giving away copies of their books! Looking for a great read? Kathie Lee Gifford and Hoda Kotb can help with that! 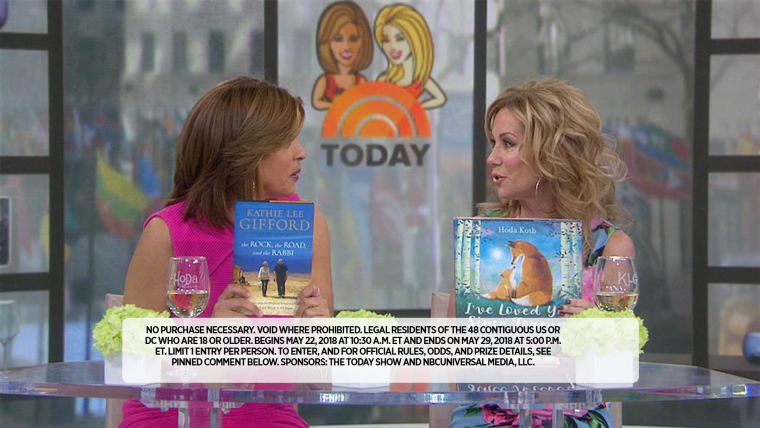 The ladies are giving away copies of Hoda's children's book "I've Loved You Since Forever" and Kathie Lee Gifford's book, "The Rock, the Road and the Rabbi." Five lucky viewers will win copies of each book! To win, comment on this Facebook post on Kathie Lee and Hoda's page by Tuesday, May 29, 2018. Five random winners will be selected!